Aedes Aegypti mosquito larvae photographed at a laboratory of the Ministry of Health of El Salvador in San Salvador. Credit: Getty. The state of Florida is currently considering the use of genetically modified mosquitoes to thwart the transmission of diseases like Zika and dengue. The FDA now says these mutated mosquitoes are safe, taking Florida a significant step closer to an actual field trial. 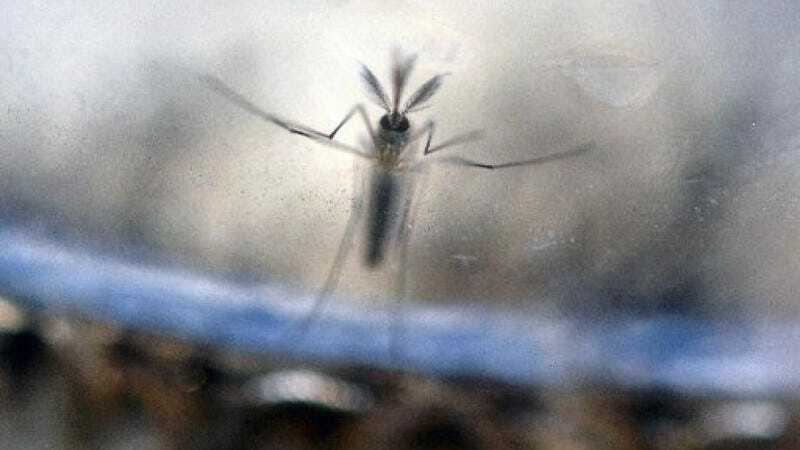 The federal agency said that a bioengineered mosquito developed by British biotech firm Oxitec poses “no significant impact” to human health or the environment. The next step is for the public to chime in and comment on Oxitec’s proposal. That could take some time, but it looks like a field trial may actually happen. Should the plan be approved, the modified mosquitoes would be released en masse in a neighborhood of nearly 450 homes on a relatively isolated peninsula north of Key West. For the past 15 years, Oxitec has been working to develop this “living insecticide.” These self-limiting, or “autocidal,” mosquitoes are engineered such that their offspring die before reaching adulthood. Modified males of Aedes aegypti—the species responsible for transmitting diseases—produce a protein that adversely affects cell development. When these mutated mosquitoes are released in large numbers, and the males mate with unmodified females, this fatal genetic trait gets passed down to the next generation. This causes a dramatic drop in mosquito populations, reducing the risk of mosquito-borne diseases in susceptible areas. Oxitec has already released its GM mosquitoes into the wild. Trials in Brazil, Panama, and the Cayman Islands have shown a 90 percent reduction in Aedes aegypti populations, which is obviously significant. Experts are hopeful that the strategy will reduce incidences of mosquito-borne diseases such as Zika, dengue, yellow fever, and chikungunya. But not everyone is onboard. The Florida Keys Environmental Coalition wants the district to try a different strategy in which mosquitoes are infected with a bacteria that curbs their ability to transmit disease. This resident’s group argues that Oxitec’s plan is mostly marketing hype and not subject to sufficient federal oversight.